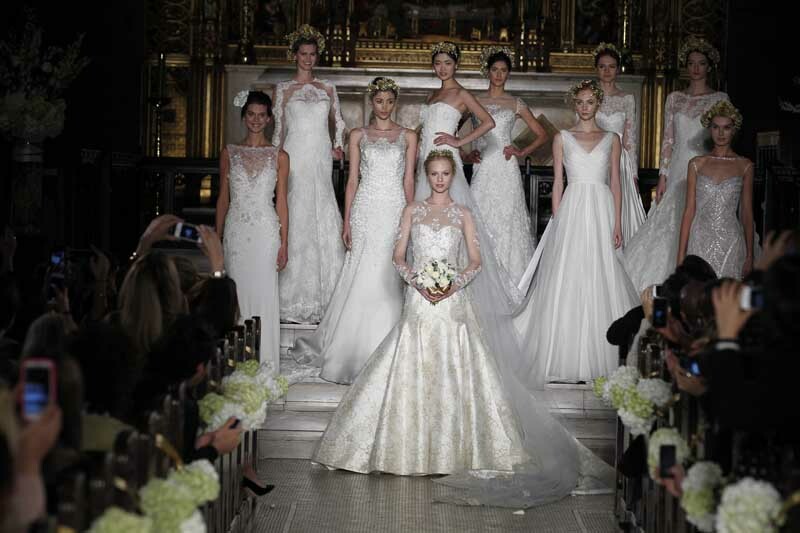 NEW YORK, Nov 13, 2013/ — Weddings are innately romantic and the 2014 Atelier PRONOVIAS collection is romance personified. Effervescent and ethereal gowns that delicately highlight the body, every piece in the collection exude elegance without detracting from the beauty of the bride. Ranging from elaborate embellishments to sleek, polished styles, each piece has its own unique silhouette, crafted with intricate tailoring, pleating and draping. Sensual lace overlays and silk petals and are strewn with delicate adornments like luminescent pearls and crystals, adding subtle glamour to each piece. Pronovias started out as family business in Barcelona in 1922. Today, it is now a bridal empire under the umbrella of Pronovias Fashion Group which continues to consolidate its position as a global leader of the bridal sector year after year. Acknowledged by their strong heritage and expertise in lace embroidery, PRONOVIAS has remained a leader in the international bridal market for the past 91 years. While laying their foundations in the city of Barcelona, the brand presented their first prêt-a-porter collection in 1964, allowing for global recognition. In 2008, PRONOVIAS celebrated the opening of their flagship store on the prestigious 5th avenue of New York City. Pronovias is present in more than 90 countries with 163 stores and more than 4,000 points of sales.